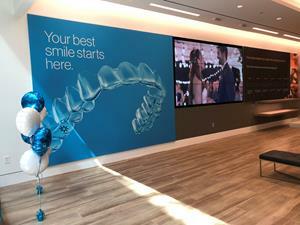 SAN JOSE, Calif., Oct. 11, 2018 — Align Technology, Inc. (NASDAQ: ALGN) the leader in clear aligner orthodontics, announced today that it is expanding the interactive brand experience program that was piloted in late 2017, and will add eight new locations in major U.S. cities in the fourth quarter of 2018. The program expansion is designed to address the rapidly-evolving consumer market for clear aligners and connects consumers interested in Invisalign treatment with Invisalign doctors in their communities. 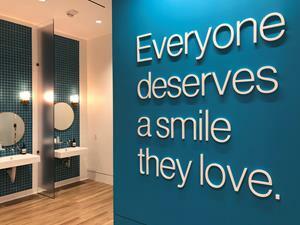 The first four Invisalign Experience locations in California, Pennsylvania and Maryland have shown great progress since opening and have contributed to a significant influx of consumer interest in the orthodontic marketplace surrounding each location. Key performance metrics to date suggest that the addition of an Invisalign Experience location can have a significant positive impact or “halo effect” on overall Invisalign patient growth in the surrounding area, even among doctors that are not directly participating in the Invisalign Experience pilot program. 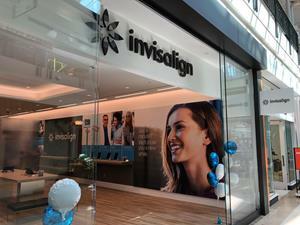 Over 10,000 consumers have visited our first four Invisalign Experience locations. Among consumers that opted in for the complimentary iTero intraoral 3D scan, 80 percent scheduled a follow-up appointment in a local Invisalign doctor’s office. On average, participating doctors in the Invisalign Experience network have received dozens of scanned consumers, with top Invisalign practices receiving well over 150 potential patient leads. Invisalign Experience locations far surpass network doctors’ other top sources for patient leads. 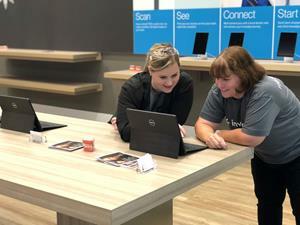 The Invisalign Experience locations help interested consumers connect with a local Invisalign doctor’s office, of their choice. By bringing the Invisalign brand directly to consumers in a cool digital environment with interactive touch screens, consumers can “browse,” ask questions, and learn about Invisalign treatment and the benefits of straightening their teeth. Invisalign staff answers their questions about the Invisalign process and technology and offer a complimentary iTero intraoral 3D scan and a visual simulation of what their smile might look like after Invisalign treatment. 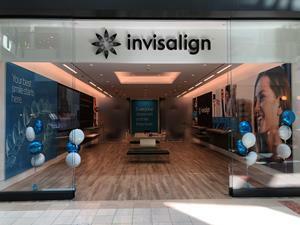 Align currently employs 35 team members in its four Invisalign Experience locations in San Francisco, San Jose, Bethesda, and King of Prussia. By the end of 2018, Align will open eight additional Invisalign Experience locations in Texas, Illinois, Arizona, Colorado, Florida, and Massachusetts, and will employ more than 100 team members. 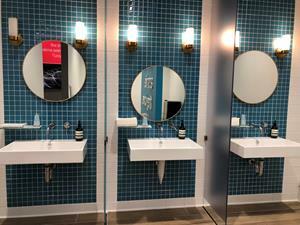 In Q4, Align will also partner with a few Invisalign doctors in select U.S. cities who will pilot Invisalign Experience branded practices to test new ways to reach consumers and connect them directly with doctors to start Invisalign treatment. This pilot is intended to help doctors integrate consumer-friendly design and consultation workflow into their practices and test new Invisalign Experience branding and a consumer-focused approach to consultations and Invisalign treatment starts. It includes an initial digital scan and smile visualization with a scanner, and immediate appointments for walk-ins. About Align Technology, Inc. Align Technology designs and manufactures the Invisalign® system, the most advanced clear aligner system in the world, and iTero® intraoral scanners and services. Align’s products help dental professionals achieve the clinical results they expect and deliver effective, cutting-edge dental options to their patients. Visit www.aligntech.com for more information.